What do Dr. Martin Luther King, Colin Powell, and Oprah Winfrey have in common? They all attribute a large part of their success to meaningful relationships they’ve had with mentors. Regardless of what field you’re looking to enter, a good mentor can provide many benefits that will help you excel in your career path. As we are preparing to launch the third year of our Peirce Student Mentoring program with an on-campus kickoff celebration, allow us to share some reflections about what goes into a successful mentoring relationship. There are many different types of mentor/mentee relationships. Some mentors may be professionals in your career field, while others may simply be a role model you look up to. A good mentor will help you define and refine your direction, help you realize your full potential, provide valuable life advice, and push you to keep moving forward. You will need to do the work and the self-assessment, but they will be there for feedback and guidance. Mentorships can come in all shapes and sizes. Some are formal, others are informal. Some mentors meet with their mentee weekly or monthly, and some connect through email, or on the phone. Others may meet quarterly or every couple of months for lunch. The most important thing is that you develop a relationship that is most beneficial for the both of you. Here are some effective ways to find a mentor and tips for developing a successful relationship. What do I hope to gain from this relationship? How can the mentor help? Who would be the ideal mentor? Why? Many mentees also say they found their mentor while volunteering. Others have found theirs by setting up informational interviews with professionals working in the field they’re interested in. You would do well to do some research on a potential mentor. A Google search or survey of their LinkedIn profile ahead of an ask may provide valuable insight into their background, skills and interests, and provide you with information for a future conversation. 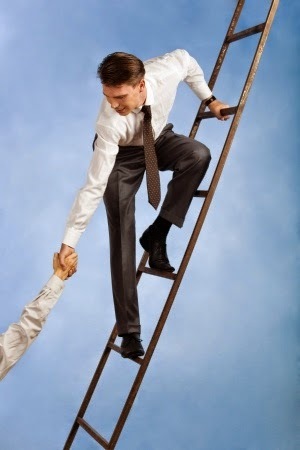 Keep in mind that being a mentor is a large commitment, especially for busy professionals. Ease into the relationship. You should never ask anyone you have just met or don’t even know to be your mentor. Perhaps instead of coming right out and asking them to be your mentor, ask if they would give you some advice or meet with you to answer a few questions. Depending on the outcome of that meeting, you can move to formalize the relationship. Consider asking if they would mentor you in a specific area rather than broadly asking if they’d be your mentor. Keep in mind this is a two-way relationship. You should always be looking for opportunities to provide value to your mentor. In addition to looking for ways to assist them, you should also show your appreciation for their help and demonstrate your commitment to making the most of the relationship. Be sure to keep them updated on how you’ve progressed and thank them for specific things they’ve done to help you. Look for a mentor who has already done what you’re hoping to do, who understands what it will take to help you get there, and is passionate about their field and helping others excel. Good luck on your search! We’d love to hear how a mentor is helping you succeed both in and out of the classroom so be sure to keep us updated! If you would be interested in being connected with an alumni mentor as part of Peirce’s Student Mentoring program, email cds@peirce.edu or call 215-670-9202. A second cohort of the program will be launched early next year. Peirce College Welcomes 2 New Trustees!